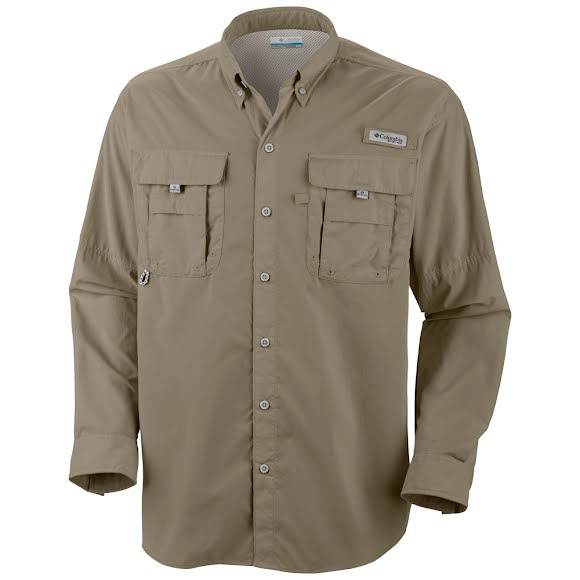 Designed specifically for the needs of anglers, Columbia's Bahama II Long Sleeve Shirt dries fast, with mesh-lined cape vents at the back shoulder to keep you cool and built-in UV protection. Designed specifically for the needs of anglers, Columbia&apos;s Bahama II Long Sleeve Shirt dries fast, with mesh-lined cape vents at the back shoulder to keep you cool and built-in UV protection. UPF (Ultraviolet Protection Factor) 30+ fabrics protect you from 95.7% of the sun&apos;s harmful ultraviolet rays. Columbia&apos;s UPF rated clothing is specifically designed and tested to be comfortable in the hottest conditions incorporating design features such as mesh, venting and lightweight fabrics.